2017 marks the sixth year for the Surfalorus Film Festival. This annual event, which got its start in Wilmington, is a partnership between Cucalorus and the Dare County Arts Council. 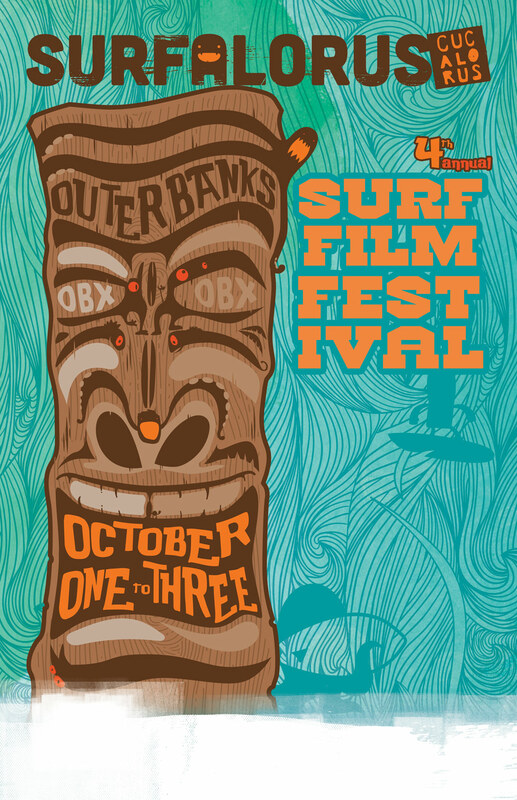 Surfalorus showcases films about surfing, surf culture, and the marine environment, and has been held in the Outer Banks for the last three years. 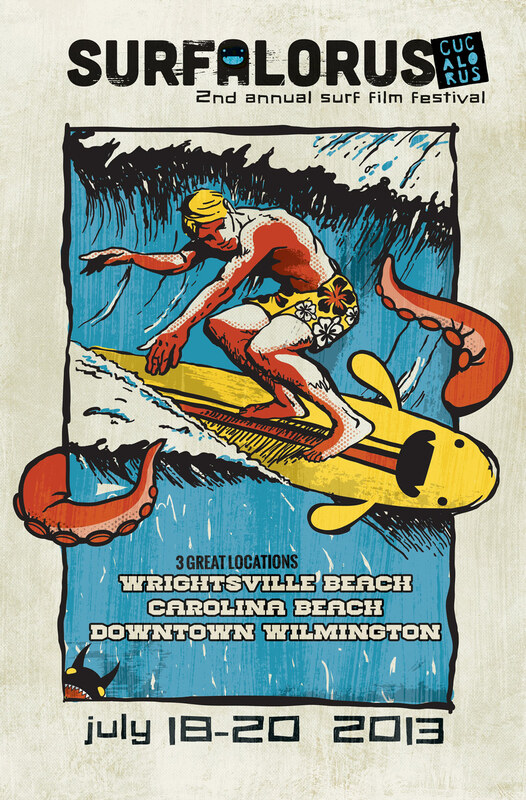 As an offshoot of Wilmington’s Cucalorus Film Festival, the Surfalorus brand needed to be clearly linked to its parent festival, while at the same time standing clearly on its own. The client wanted to tie in Cucalorus’s well-known monster theme, while maintaining a relaxing coastal vibe. 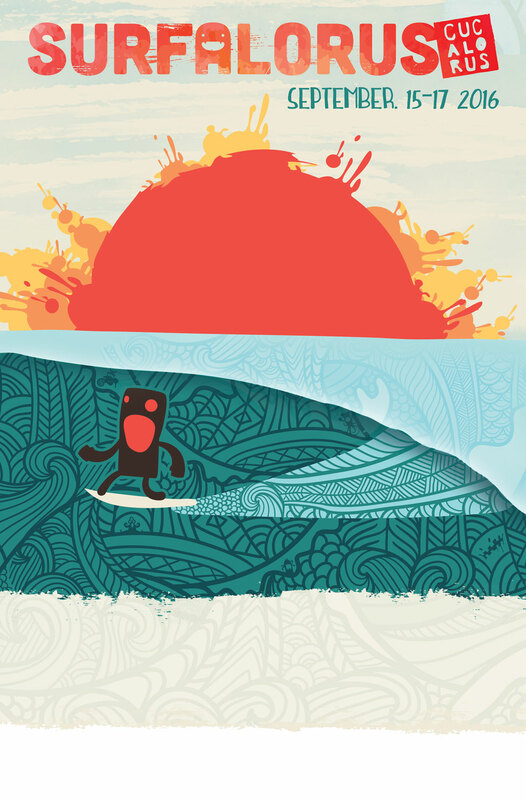 The Sage Island team worked together with the Cucalorus and Surfalorus boards to create a cool surfing-focused theme that truly captured the essence of this beloved festival. After many potential designs, a winner was finally chosen for 2017. The final product is design rich and attention grabbing. It has a vintage, handmade feel that matches previous years and the now infamous logo. The colors are refreshing, tropical, and perfectly reflect the vibe of this fun and festive celebration of surf culture. Sage Island was excited to help continue this annual tradition and assist Surfalorus in finding their theme for the year.